CPA firm in Deerfield, IL | CPA Accountant | Frank Haas & Associates, Ltd.
About Frank Haas & Associates, Ltd.
Frank Haas & Associates, Ltd. is a highly skilled Deerfield, IL CPA firm offering innovative accounting services and tax planning solutions for small business owners. Our mission is to remove financial obstacles and skillfully manage your tax obligations to improve your business and your bottom line. You'll be glad you chose to work with us because we truly appreciate our clients and endeavor to develop a long-standing relationship with each one. As your financial partner and business advisor, we’re continually looking for ways to lower your taxes, reduce expenses, and take time-consuming accounting and bookkeeping tasks off your hands. Our knowledgeable staff has a wealth of accounting experience and is always personable, courteous, and professional. We extend a free initial consultation to new clients. Call us at 224-904-3926 today to learn more or request your consultation through our website now. "Most people look at tax changes as another headache – I see changes as another opportunity to create savings for my clients." Frank Haas, CPA has been a proven leader for the past 35+ years working with small to medium size businesses and high net worth clients. Frank has managed finance, accounting, financial reporting, payroll, HR, and tax issues for his clients. He has a vast understanding of the income tax code and has prepared complicated income tax returns for Corporations, Subchapter S Corporations, LLC's, Partnerships, Individuals, Estates and Trusts. Frank graduated with a Business Degree from the University of Iowa with a major in Accounting. After obtaining his CPA, he has worked for Price Waterhouse, owned his own accounting practice, and has been an owner in other successful business ventures. Frank is a Certified Public Accountant in Illinois and Iowa, State of Iowa Scholar, is a past President of the University of Iowa Chapter of Beta Alpha Psi. He is a member of the AICPA and Illinois CPA Society and has ongoing continuing education classes in accounting, taxes, and management services. 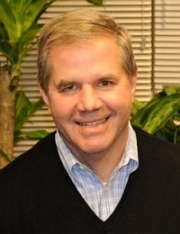 Frank has helped his community by serving as a Treasurer and Member of the Board of Directors for the Lake County Haven, a not for profit organization that houses women and children in Lake County along with serving as Treasurer for the Aptakisic Tripp School District in Buffalo Grove, IL. Find out how we can serve you! Call 224-904-3926 or request a free consultation now. Frank Haas & Associates, Ltd.